This week is Allergy Awareness Week (24th to 30th April) with the focus this year being on allergic eczema. If you have been following mummybakesdairyfree for a while then you will be aware of little one’s allergy journey. Eczema has been a large part of this and is one that still affects her life most days. 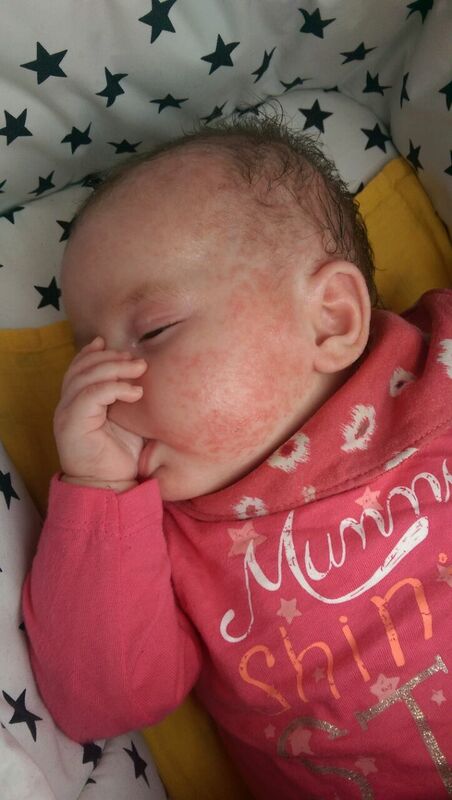 For those of you who may not know, little one had pretty horrible eczema from a couple of months old. It has only been in the past few months that the flare ups have reduced, and the daily smothering of lotions and potions has decreased. Little one’s dad and I are no strangers to eczema ourselves, both having suffered with it at one point or other. Therefore it wasn’t a surprise when little one began to display the tell tale signs. Unfortunately for little one her Cow’s Milk Protein Allergy exacerbated her eczema and it has taken a combination of input from dermatologists, little one’s paediatrician, and dietitian, for it to improve. Although eczema and food allergies do not always go hand in hand, there are often similar experiences as a parent. I often feel that little one is missing out due to her food allergies. She is not able to take part in many activities which involve food (Easter egg hunts, children’s parties etc. )without great preparation beforehand. She is frequently told “no, that’s poorly food” or made to wait whilst ingredient lists are scrutinised. Her eczema also caused her to miss out on something many children enjoy from birth. This week little one had her first proper bubble bath! To many it may seem an insignificant event but to her (and me) it was amazing! Up until now, bath time involved using prescribed emollients. If you’ve bathed a small child then you know how wriggly they can be. Now add into that using an oil-based wash, which not only coats the bath but also makes the child like a slick seal. On top of that, there is not pleasant smell to help with the relaxing bath and bed routine! 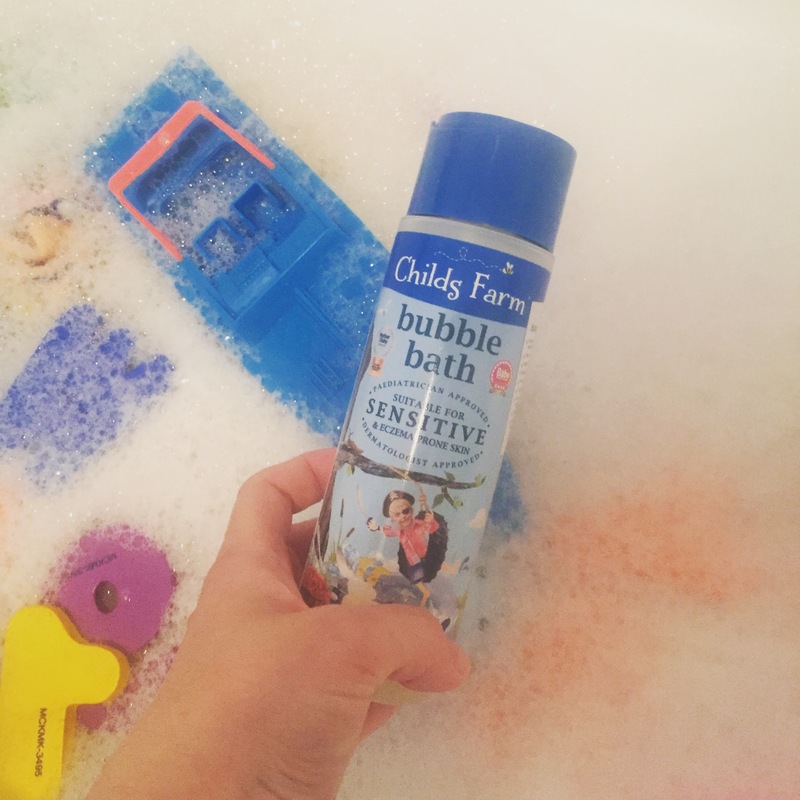 With little one’s eczema improving I decided to try Childs Farm Bubble Bath. Designed for children with sensitive skin, it not only left little one’s skin soft and hydrated, but produced an amazing amount of bubbles. It was lovely to see her play in the bubbles, something so normal but meant so much. I tend not to post too many photos of little one or I on here but I thought I would leave you with a couple. The first is of little one at 8 weeks. Beautiful and perfect, but in discomfort from the eczema which had started to become apparent. The second is a selfie of both of us, taken at Easter. Still beautiful. Still perfect. Her not me!! 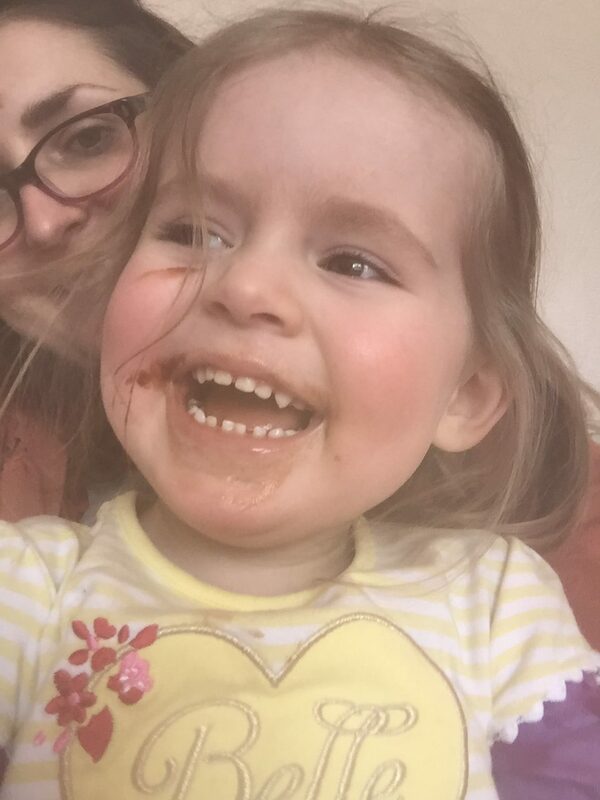 But with her eczema under control she can get on with being a messy toddler! 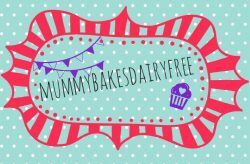 ** Disclaimer: Through this website you are able to link to other websites which are not under the control of mummybakesdairyfree. I have no control over the nature, content and availability of those sites. The views, opinions and information shared on the links are not my own.